Image Below shows optional eject box that does NOT come with Bluetooth kit. 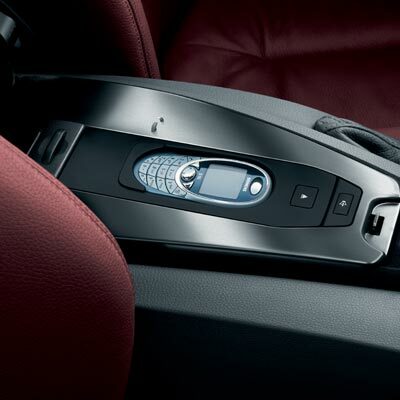 With the BMW Bluetooth system you can use the BMW steering wheel and radio controls to navigate your cellular phone phonebook, dial numbers, increase volume, ect. 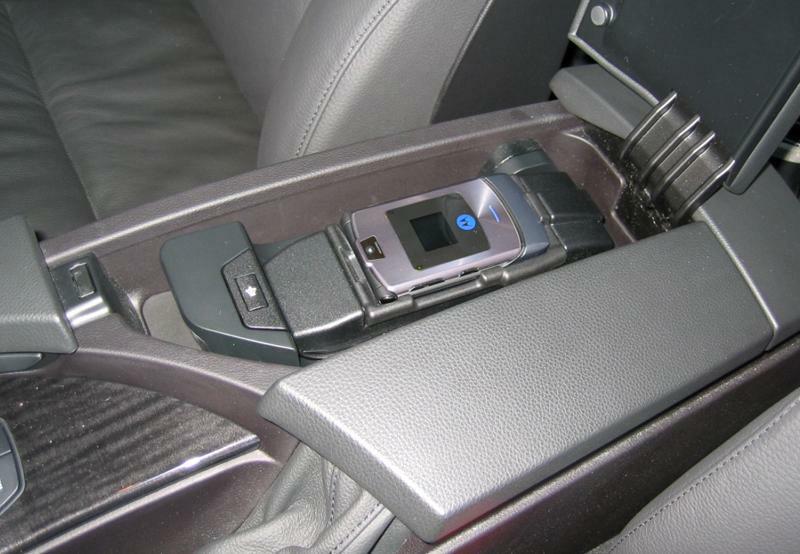 The system operates just as your BMW factory installed Bluetooth phone would operate. *Video program mentions "2006" 3, 5, and 6 although the functionality is the same with the BMW retrofit kit. This video program can be downloaded to your video ipod for review while pairing your Bluetooth system. For a pictorial overview of the installation click HERE.